The following article was written by Lisa Pellegrene, and was originally published on LinkedIn on June 28, 2018. As a long time strategist, publicist and professional in TV/Film, I focus some of my efforts and time on promoting outstanding work created by other immensely talented people. The photography of Thomas W.P. Slatin stands out. He captures some incredibly epic images of nature, and he also does urban exploration photography. All of his work is unique and thought provoking, from simply bringing his online audience beautiful glimpses of nature, to his exploration of abandoned properties. Bringing beauty closer to his audience with stunning nature images evokes the appreciation of the beauty which surrounds us. The urban exploration photography, where he visits and photographs abandoned properties, at times has lead to restoration of previously abandoned properties. I am sharing a few of his images here. If you would like to follow his work on a regular basis, please find him on Twitter @twps. His website/blog/gallery of additional images is www.tomslatin.com. Tom’s instagram is @tomslatin. Providing of glimpse of his work here, be sure to engage on a regular basis to see much more of his work. 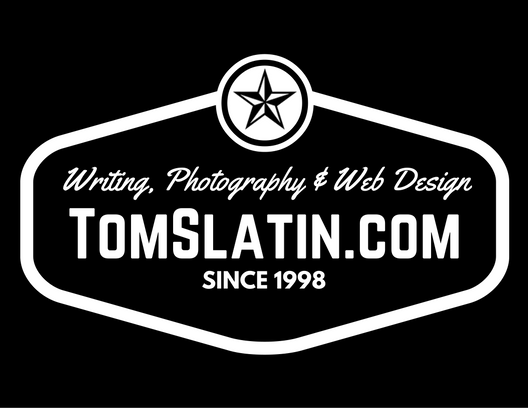 For inquiries, reach out to him directly at tom@tomslatin.com. Wow, the pictures look so real. It makes you feel as if you are there. Great work Thomas! In a world where everyone thinks they’re a professional photography just because they have a camera on their cellphone, you remind us all of the true skills that this craft requires. It’s not just about pointing and shooting, it so much more, it’s about passion, getting just the right angles, lighting, equipment, instincts and tons of other micro-thoughts that many of us mere cellphone amateurs never even think of. Your blog has been a very humbling experience, definitely will continue following your work. Thank you, Michael. I completely agree with you as far as ones skills are concerned. I started taking pictures with a manual film camera around the age of 8. Then when I was 18 years old, I started to take pictures for pay. I am now almost 40 years old, have sold and had my photography published numerous, times and am now finally comfortable with people regarding me as a master photographer. A common misconception is that the camera makes the photographer; this has been perpetuated due to the rise of smart phones which augment reality and make any pictures taken look perfect. In reality, a skilled photographer can accomplish perfection or near perfection with any camera using their skills and years of practice and experience. Wow that’s a vivid leaf! Seems like I can literally just reach out and touch the raindrops. Very talented! Your images are so vivid and filled with life. Love that pic of the dog and the green land and sky! One day I will get to take pictures like this! That is my dream! Good one, Thomas. I like the these statements and I appreciate you for bringing us beautiful glimpses of nature. Your shots are so adorable. Thank you! My good friend Lisa Pellegrene wrote this for me. These photos are all very well-captured. The first photo looks so real. Thank you. I put my heart and soul into my work. I love the dog photography! Taking pictures of my pets is my hobby, it’s quite a challenge though because they always move around. Pets and children can be a challenge. In these cases, timing is truly everything. Wow dude that leaf with a raindrop? That was a hard thing to spot let alone time but you did it. Kudos to you. Surprisingly this was not one of my more difficult photographs. It appears he has a nice eye for bring the nature alive. Nice shots! It looks like he has a really good eye for bringing nature to life. Great shots! I love the detail on the first photo for every drop of water. Thanks, this picture was one of my favorites from 2018.